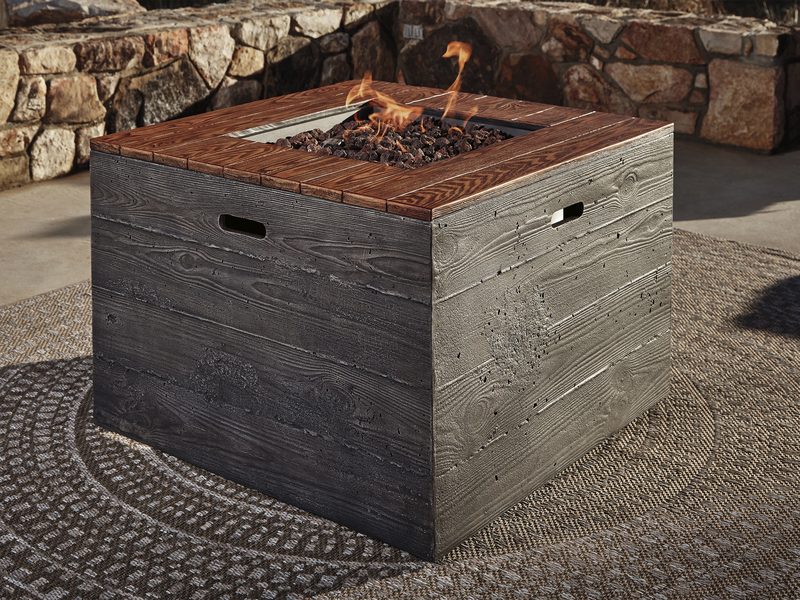 The Hatchlands fire pit table mirrors the rustic ambience of the great outdoors. 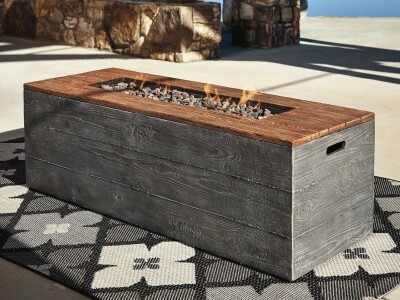 Oversized square design has the look of richly grained wood, with none of the splintering qualities. Included burner cover transforms the fire table into an expansive coffee table.